If you are seeking to affect the kind of major change that will improve performance across the organization, you need to build a culture that encourages feedback. Change management consulting experts agree that organizations that promote consistent and constructive feedback are able to raise performance levels across the board and thus sharpen their competitive edge. Don’t wait for the big deeds…acknowledge any behavior, no matter how small, that is one you want to encourage. Little by little, the desired behaviors will replace the negative behaviors. Your appreciation will set the tone and steer employees along the right path. Allow control over feedback overload. 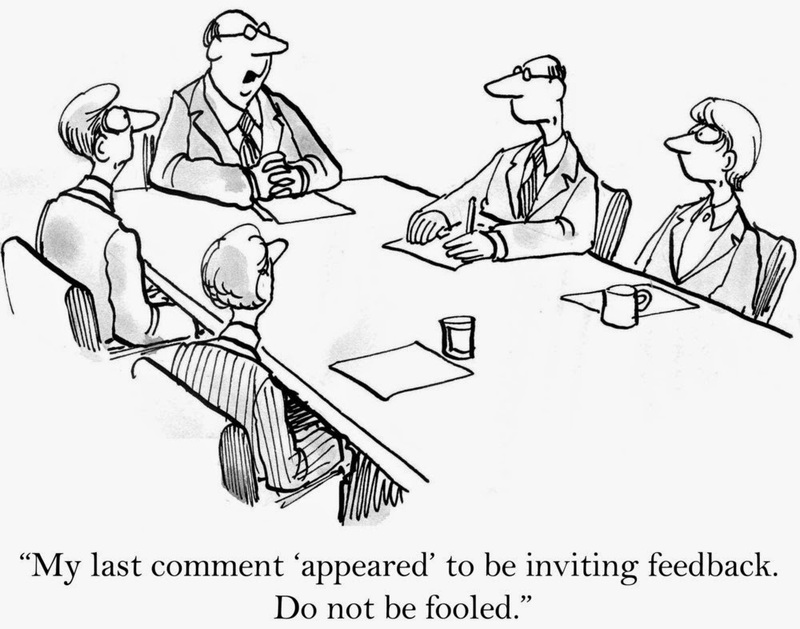 Make it OK for someone to postpone feedback. If you ask permission to give feedback and it is refused, find a better time to give it…when the recipient will be more receptive and willing to make the changes you recommend. Timely feedback is the best way for people to understand how their behavior affects others and a feedback-rich culture promotes behavior change in the right direction.